“In recent years we have seen some fantastic recreational facilities provided, such as the coastal path and the path from Llanelli to Tumble along the former railway line. However, this evening we are not just talking about recreational facilities; we are talking about how to get people cycling much more in their everyday lives, and not just on holiday. It needs to be practical and safe for people to go by bike wherever they need to go—whether to work or to the shops, the doctor’s, the leisure centre or the cinema, and so forth. That means making routes everywhere safer and pleasanter for cyclists. We need proper investment to ensure the necessary infrastructure. We need the political will to prioritise spending on cycling. I would like quickly to mention the Welsh Government’s Active Travel (Wales) Bill, which aims to encourage non-recreational active travel routes for walking and cycling, which are used by people for work, school or shopping. The Bill will require local authorities in Wales to produce and distribute comprehensive maps showing all the active travel routes in their areas and, most importantly, to make continuous improvements to the range and quality of active travel routes. They will be expected to make year-on-year improvements, either by expanding the number of facilities or by upgrading existing ones. On that note, I would like to ask the Minister, who has now heard the tremendous cross-party support for increased investment in cycling, whether he will try to convince his colleagues across Government that this is the right way forward, and that we want better investment as well as clear thinking and the real political will to put cycling right at the heart of Government. 1. First, we must end the stop-start approach to supporting cycling, which means that we need long-term funding of the infrastructure needed for dedicated separate safe cycling infrastructure to create safe routes. It is also important that a commitment to new infrastructure does not become an excuse not to improve the safety of cyclists on roads where there is no separation. The priority should be redesigning dangerous junctions and greater use of traffic light phasing to give cyclists a head start. 2. We need to ensure that we do not repeat the mistakes of the past, so I propose a cycle safety assessment before new transport schemes are given the green light. We need new enforceable design standards and measures to ensure compliance. 3. We need national targets to cut deaths and serious injuries to be restored, but they should sit alongside a new target to increase levels of cycling. Cycling becomes safer when more cyclists are on the road, so we should learn from the success that has been achieved in European countries that have set clear goals to increase levels of cycling alongside the policies necessary to achieve that. 4. We should learn from Wales and extend to England its active travel legislation, which sets out clear duties on local authorities to support cycling. 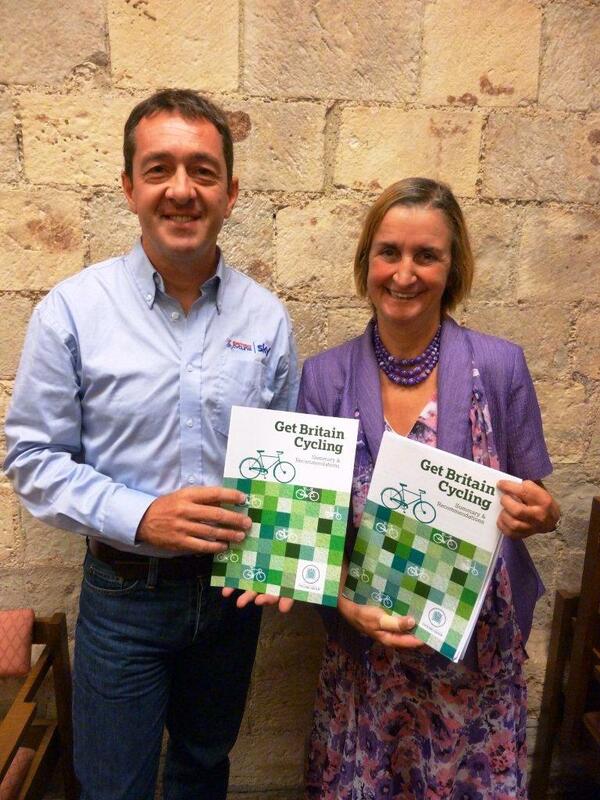 Local authorities are central to devising, prioritising and delivering measures to support cycling, so it is important that additional support from central Government is matched by clear obligations. To assist councils, we should provide them with a best-practice toolkit to boost cycling numbers that is based on what we learned from the cycling city and towns programme and evidence from abroad. Councils should be supported to deliver 20 mph zones, which should increasingly become an effective default in most residential areas. 5. We must ensure that children and young people have every opportunity to cycle and to do so safely. The Government should not have ended long-term funding certainty for the Bikeability scheme, nor axed the requirement for school travel plans. Those decisions can and should be reversed. 6. We need to make it easier for cycling to become part of the journey to work, even when the commute is too far to do by bike alone. Instead of the Government’s approach, which has been to propose a weakening of public transport franchise obligations, we should toughen up the requirement to provide station facilities and on-train space for bikes in rail contracts. Employers can play an important role in providing access to showers, changing facilities and lockers. 7. We need to ensure that justice is done and seen to be done in cases where collisions lead to the death of cyclists and serious injuries. I welcome the recent commitment from Ministers to initiate a review of sentencing guidelines. It is vital that this is a comprehensive review of the justice system and how it protects vulnerable road users, and it should be concluded without delay in this Parliament. 8. We need tough new rules and requirements on heavy goods vehicles that are involved in about a fifth of all cycling fatalities, despite the fact that HGVs make up just 6% of road traffic—there is clearly an issue there. We should look at the case for taking HGVs out of our cities at the busiest times, as has happened elsewhere in Europe, including in Paris and Dublin. As a minimum, we should require safety measures on all HGVs, including sensors, audible truck-turning alarms, extra mirrors and safety bars, as well as better training and awareness. I have previously suggested to Ministers that the £23 million that is expected to be raised annually from the new HGV road-charging scheme could be used to support the road haulage industry to achieve that.